With the start of the baseball season just a couple of weeks away, there’ll be many new players enjoying DFS baseball for the first time. A large number of players see baseball as the ideal sport for daily fantasy sports, as the amount of stats available is enormous, as well as the large number of games daily, giving the opportunity to enter a new contest almost every day of the season. Here we give five tips which will help the first time player enormously and will immediately give you an edge over a good percentage of the opposition, who won’t give too much thought to selecting a roster. This is the player who will earn you the highest proportion of your points, so spend some time ensuring that you get this player correct. The starting pitcher is one of the lowest variance positions in the game, meaning that you’ll usually earn good points if you get it right – which cannot be said of a good batter, who could easily go a whole game without a hit and nobody would be too shocked. Spend more time on this player than any other position and you’ll give yourself a nice head start. Daily fantasy baseball is a lot of fun. You can play at FanDuel and DraftKings for millions of dollars in prizes awarded in this season! Perhaps one of your first stops should be to look at the latest Vegas lines for any game. The money line will show you the teams most likely to win and the totals will point you to both the potentially highest and lowest scoring games. Stacking your line up with batters from that favored team in a high scoring game is never a bad idea, and the starting pitcher from that favored team in a low scoring contest has to be looked at. Sportsbooks are the best in the business when it comes to probabilities for a game – their entire existence depends on them being good at what they do. Why not make use of some of their hard work? Keep a very close eye on the weather. If a game is rained off, you’ll gain no points for the players you pick in these games, so avoid these games completely if you can. Even if a game starts before suffering a rain delay, you might find your starting pitcher plays just 2/3 innings and then not return after the delay, making what might have been a very good pick a very bad one. Games are called off on a regular basis in Major League Baseball so ensuring your entire line-up will actually be playing baseball on a given day will give you something of an edge over those not so careful players. Look for those pitchers who are having a bad time or are particularly inexperienced and pick batters against them. Your batters will gain more hits, more walks, more runs and more RBI’s, so the points will quickly mount up. Depending upon which DFS site you are using, you’ll be able to stack your line up with a differing number of batters from the same team, so if that pitcher does have that nightmare day you’ll be able to take full advantage. Also consider the left/right splits in these scenarios. Typically a right handed batter will perform well against a left handed pitcher and vice versa, so choosing the opposite handed batters in this scenario could gain you an extra edge. 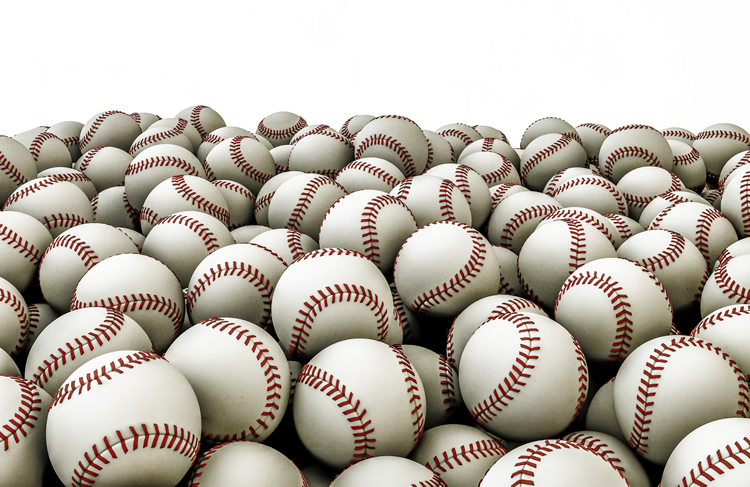 I stated at the start of this article that baseball enjoys an enormous amount of stats. These stats will include great detail about any player, team or ballpark, so the information is invaluable. However, it is possible to over complicate things and on occasions you might find yourself using stats which aren’t actually that useful. One particular statistic that many might use is the actual matchup between the pitcher and the batter and this can be useful, but you should be very wary when it comes to the sample size. If, for example they have only faced each ten times in their careers, can you really glean any relevant information? You might also see that a particular starting pitcher really under performs after only 4 days rest – but if he has only done this three times, is the information relevant? Be careful of overcomplicating your strategy by using information that might not actually tell you anything. Daily Fantasy Baseball is absolutely fascinating and there is no better feeling than putting the work in when selecting your roster, and then seeing your players perform exactly as you had hoped – which could lead to the cash rolling in. Using these pieces of advice will start you off on a good footing and already give you a head start over many of the other players in any DFS contest.